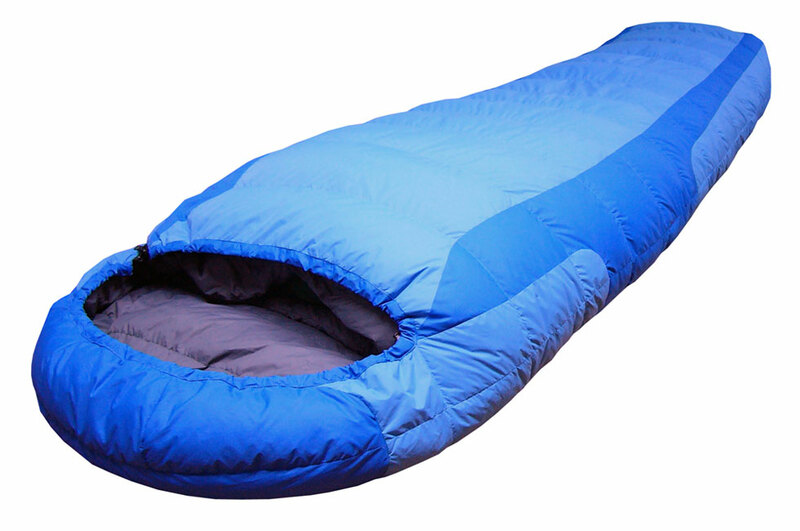 After setting up Andy Milne Design in 2007 I saw an opportunity to solve the dilemma facing many travelers when trying to choose the most suitable sleeping bag. Encountering multiple seasons and a wide range of temperatures and sleeping conditions across different countries can make it near impossible to choose one bag that will provide comfort in all situations. 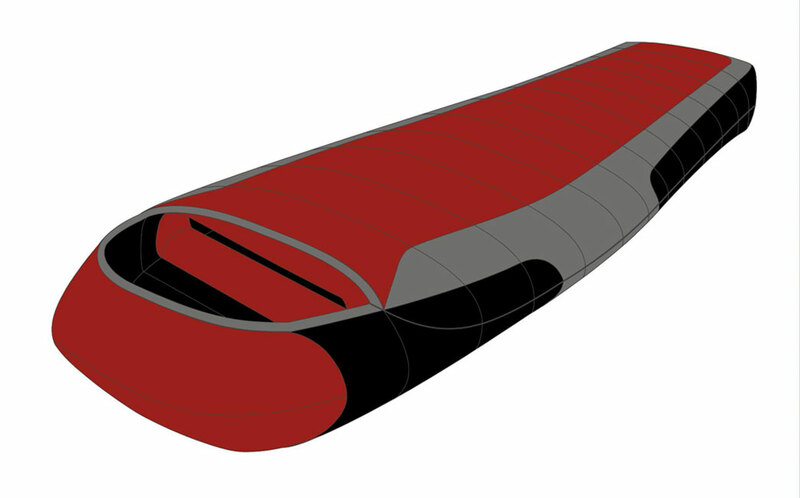 I developed a 3 in 1 concept that eliminated all the compromises previously found in using two different sleeping bags together while creating 3 complimentary comfort ranges that together formed a wider comfort range beyond what any single sleeping bag could offer. The system also had the added benefit of 2 different options when used by couples. In 2007 I was granted the New Zealand Patent for this system and the Australian Patent was granted in 2009. In 2012 I sold the Intellectual Property for this system to a large Australasian brand. 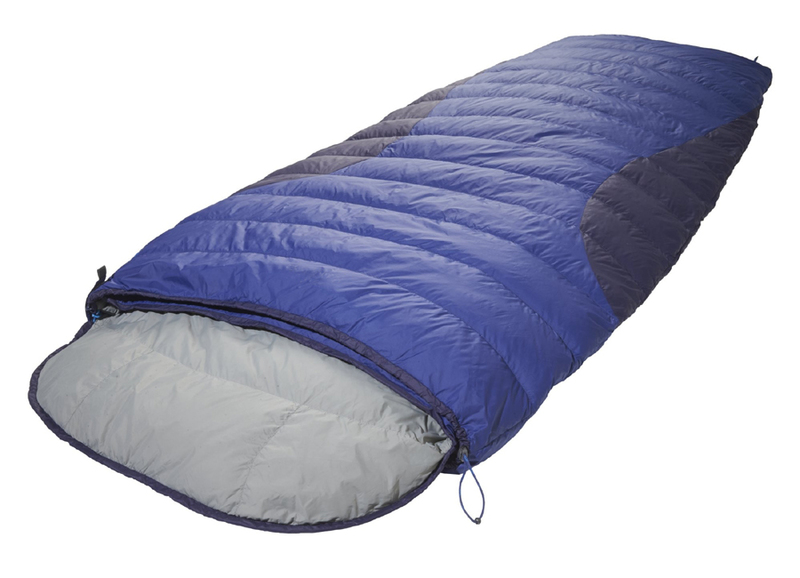 Sea to Summit needed to improved the consistency of the sizing of their newly released sleeping bag range. With four very different case designs we needed to ensure the fit for each size was consistent across each model. This became quite an involved project but well worth the effort to get right. So I went to work, with the result being a very 3D case design for what is traditionally a very 2D bag. Curving side, foot and hood panels provide a unique aesthetic while also enhancing the 3D shape. Polystyrene and card models were used to ensure accurate patterns were produced. By creating a full set of patterns the sampling process was more efficient and fool proof than relying solely on drawings and specifications. Having moved from Arthur Ellis (Fairydown) to Kathmandu I couldn’t wait to review and redesign the Kathmandu range of down bags. Here I introduced a much tighter range logic, new aesthetics and some unique design concepts. Addressing the range logic included introducing four new case designs in up to three different sizes and a more restricted and logical use of different fabrics and down qualities. Consistent and graduated changes in the amount of fill between models completed the logic. The new case designs included interesting new panel lines and shapes and a new colour palette. 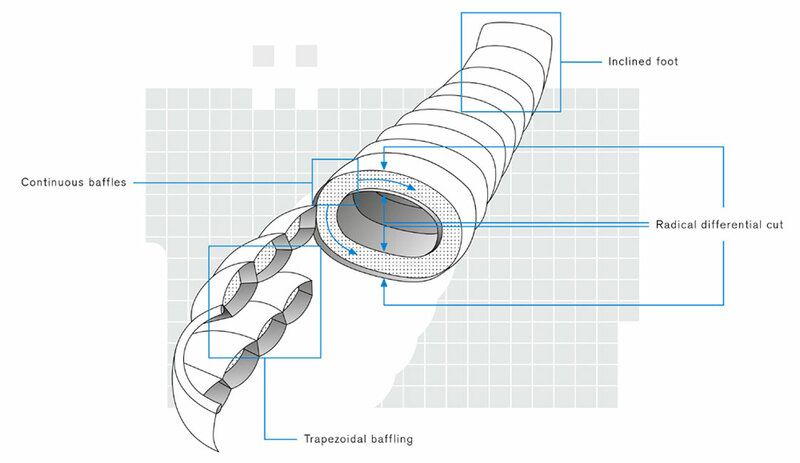 Innovation included the use of curved trapezoid baffles to reduce down movement and optimum baffle wall angles for all models to maximise loft and reduce weight and bulk. 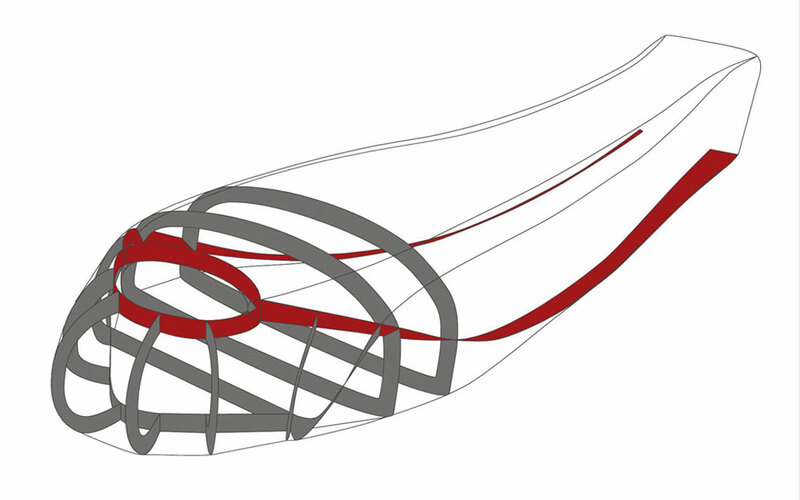 This was achieved through variable baffle spacing that was dictated by the average thickness of each model. All models were tested to the relatively new EN13537 Thermal Rating Standard and tested extremely well when compared to equivalent models of other brands. Apart from some new colours this range remains fundamentally unchanged since its introduction four years ago. 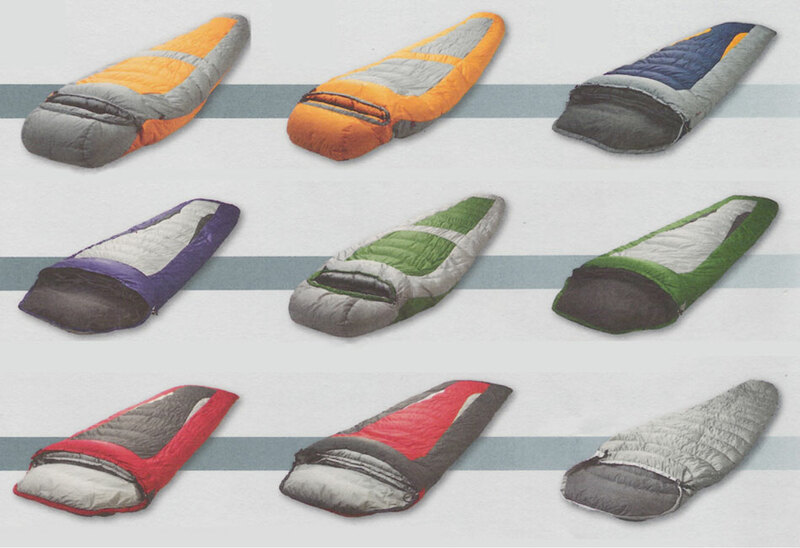 The 2005 Fairydown Everest and Scorpion models combined the highest quality fabrics and down fill with some exciting new innovations, resulting in the ultimate in cold climate sleeping bags. Building on the experience of the Superlite project I again utilised a radical differential cut and then took this a step further by maintaining constant thickness over the whole bag. The intention was to reduce heat loss and any excess engineering required to rebuild thickness where it has been taken away. 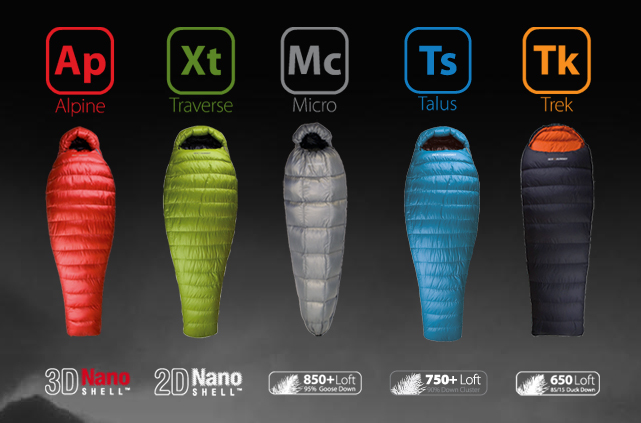 Rather than the bag tapering in profile from full thickness and insulation to no thickness (and therefore no insulation) along the zip and hood edges, maintaining constant thickness allowed the same level of insulation (thickness) at the hood and zip edges as anywhere else in the bag. 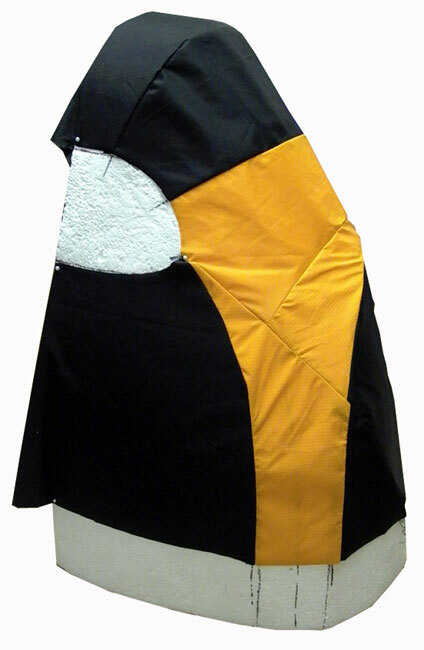 A fabric wall along the zip and around the hood prevented the inner surface ever contacting the outer surface. This concept allowed the two walls along the zipped edges of the bag to seal against heat loss far more effectively than traditional construction methods. 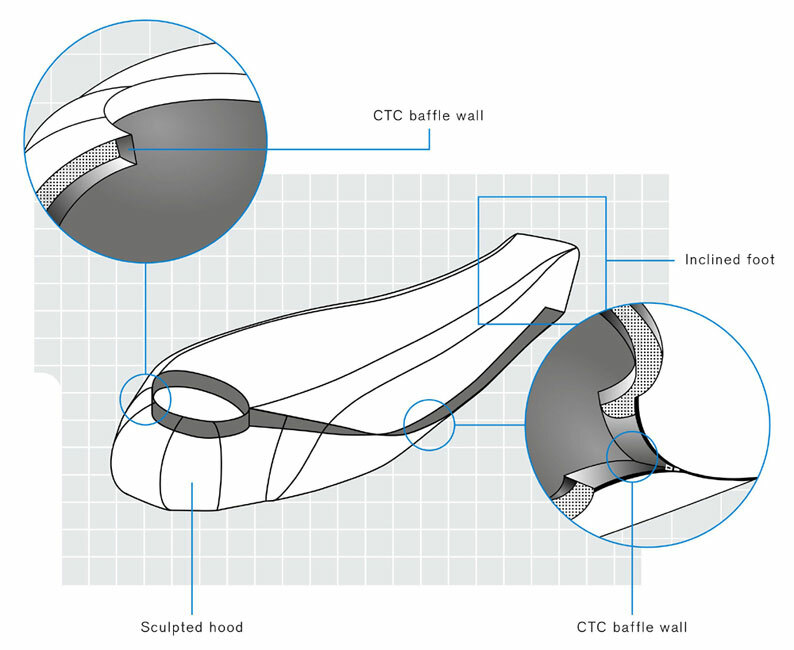 A 3D case design was developed and shaped to be thermally efficient without adding any unnecessary weight or bulk. 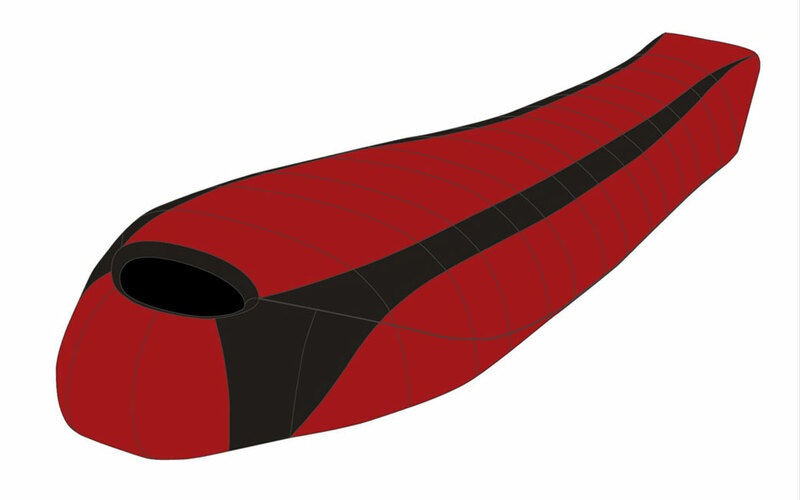 A unique 7 panel sculptured hood was incorporated that fitted neatly over the head and shoulders for optimum thermal and weight efficiency. In addition I also developed an internal volume adjustment system. 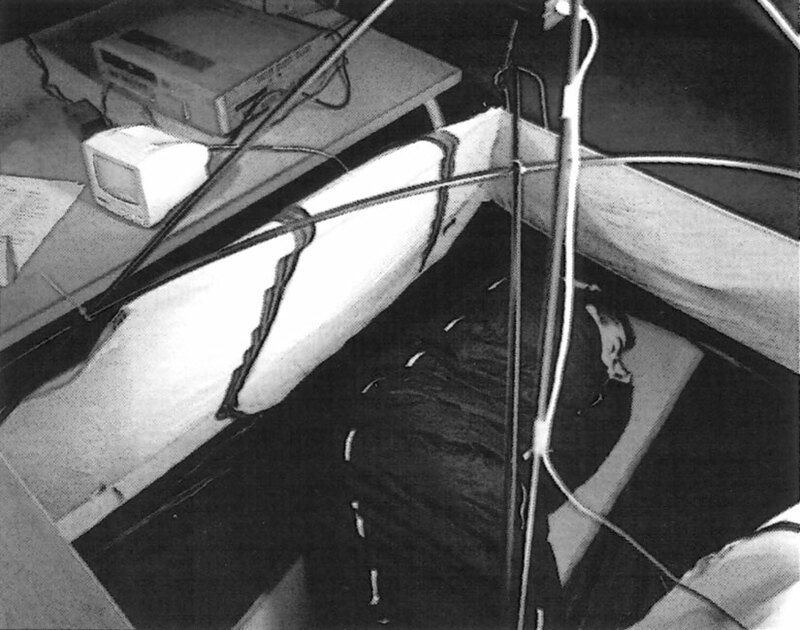 This unique concept can, when required, further increase the thermal efficiency of the bag by reducing the internal space within the bag via three strategically placed adjustment points inside the bag. These allow the inner bag to be cinched in closer around the body, allowing the user to control the amount of airspace inside the bag without affecting the loft in any way. 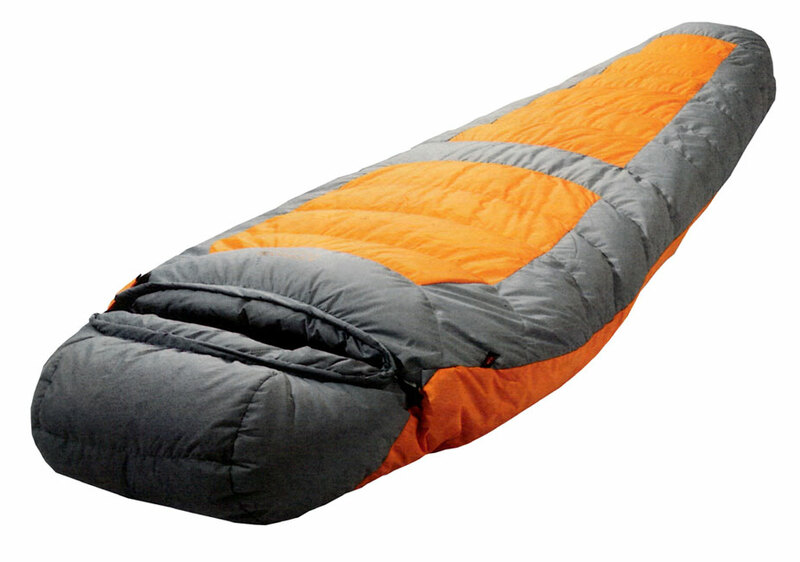 15 years ago I set out to create the most efficient lightweight sleeping bag ever made. The result of this project was the Fairydown Superlite. 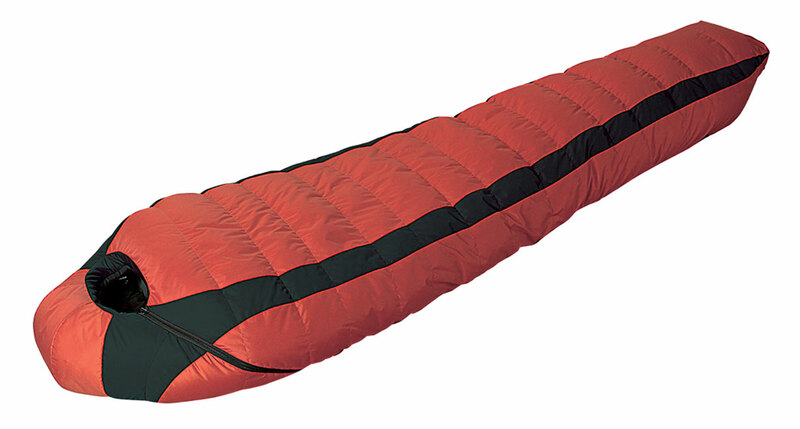 Today this is still one of the most efficient lightweight sleeping bag designs on the world market. Because this was a totally new product I was able to take a very fresh and open-minded approach and choose a direction that was determined by genuine research and testing rather than preconceived ideas or assumptions. 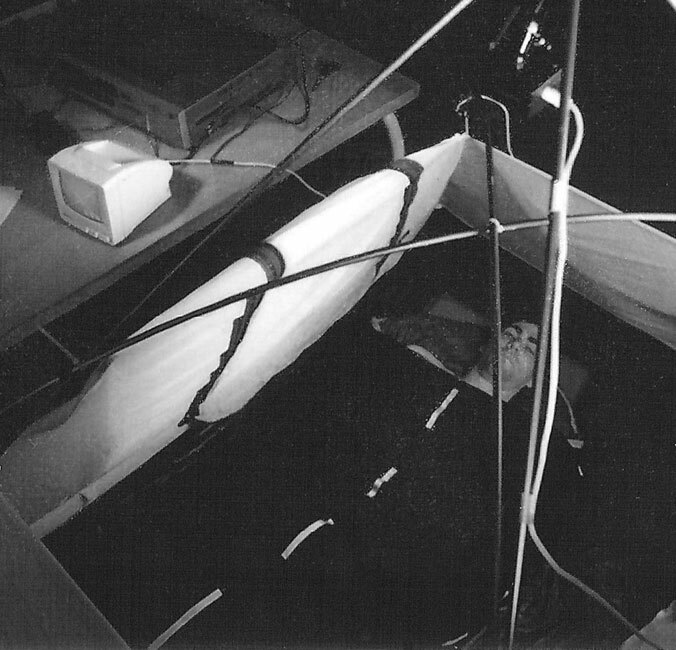 The beginning of this project involved some of the most in-depth and ground-breaking sleeping bag research ever undertaken. 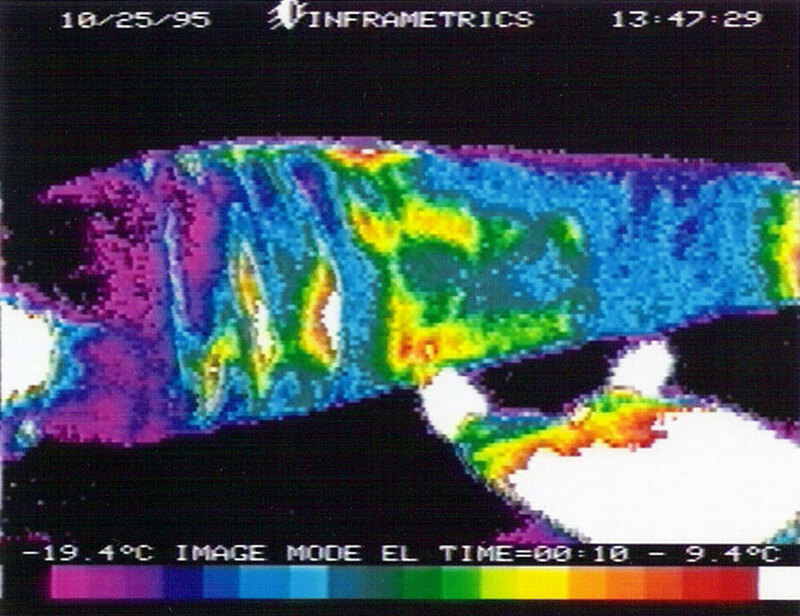 This included studies of people sleeping in sleeping bags and the use of thermal imaging equipment to check construction details and fill-distribution for areas of heat loss and later, to determine the best baffle construction. 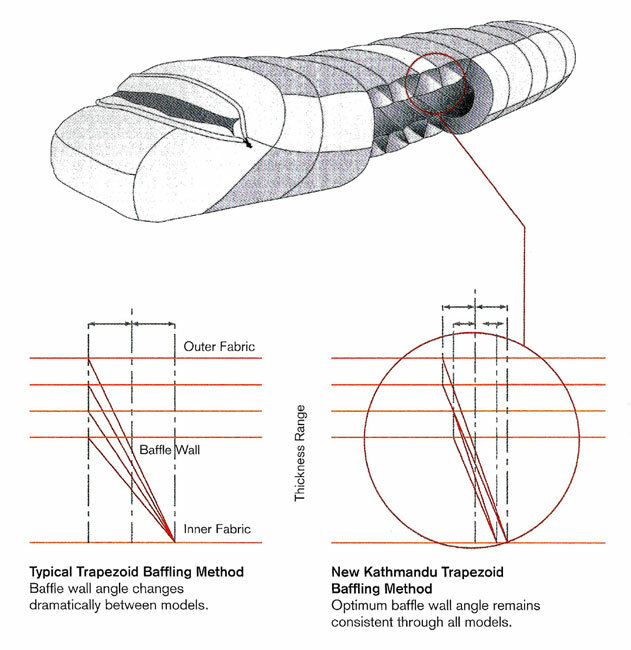 The results of this research provided invaluable information for developing the revolutionary concepts that would allow the Superlite design to establish a new level of sleeping bag performance. These concepts included a radical differential cut, a 3D ergonomic fitted mummy case design, an inclined foot and an integrated neck muff, all designed to fully optimise every ounce of down fill while keeping the weight and bulk of the bag as low as possible. To turn these concepts into reality, 3D CAD software and scale models were employed and new manufacturing methods were developed to create the radical differential cut.